Goldtones / Orotones / Curt-tones are rare and sought after. Comprising of less than 1% of what the artist left behind. 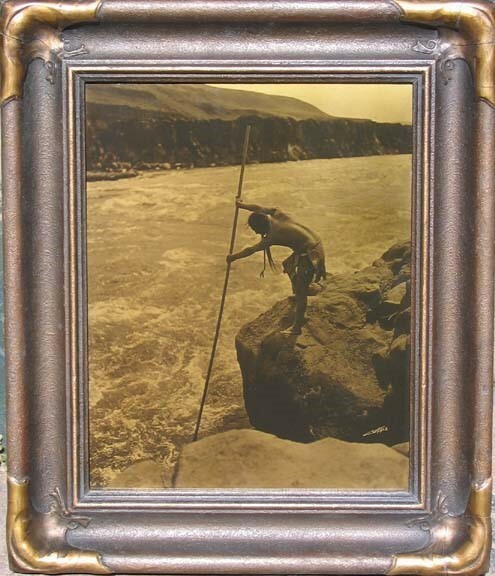 Each example was creating by Curtis, in his own studio to help fund his larger project “The North American Indian”. 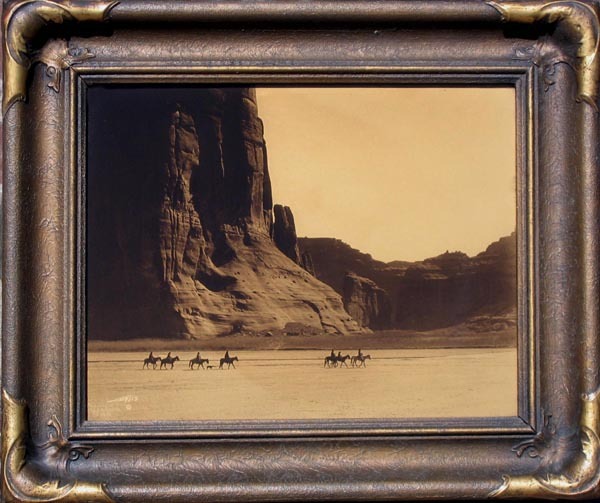 In his time the goldtone medium was rarely used, and though Edward Curtis did not invent the process he created more goldtone examples than any other artist. In simple terms, a goldtone is a positive image on glass (most images are a positive image on paper). 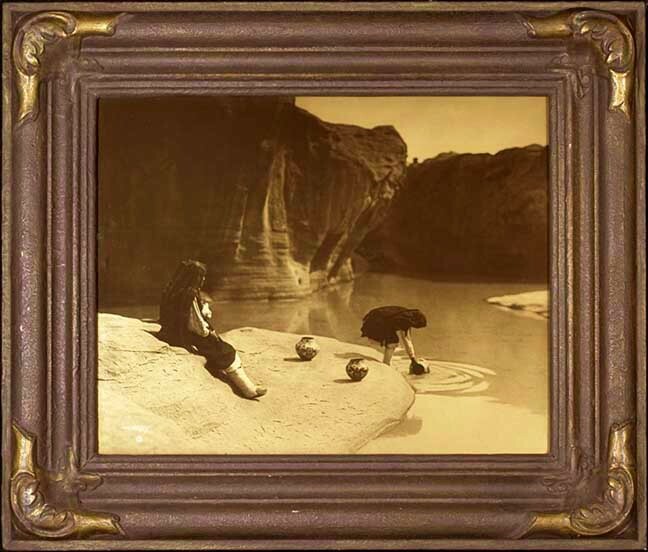 The process Edward Curtis used was to take a clear plate of optical glass and spread a liquid emulsion on the surface of the plate. He then projected his negative onto the glass to create a positive image. The highlights and shadows could not be seen unless there was some type of backing on the image. He mixed a combination of banana oils and bronzing powders to create a goldtone effect, and then floated this mixture onto the dried emulsion. The final process involved backing the glass image to so that all the chemicals bonded together. 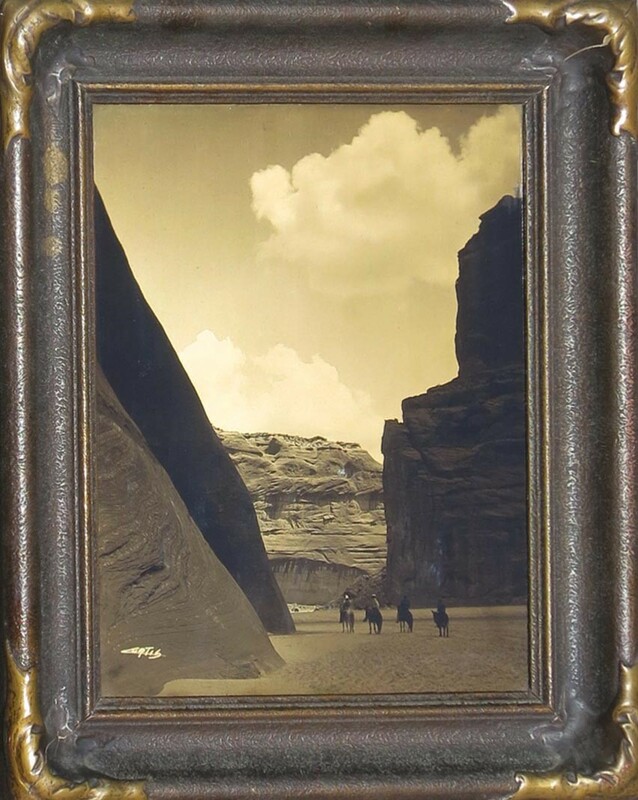 Lastly Edward Curtis framed each image in either a batwing, pie-crust, or ribbon frame. The Goldtones that have surfaced today are by far some of his most brilliant works.